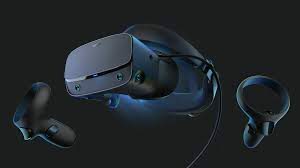 Last week at the Game Developers Conference, Oculus unveiled their new flagship virtual reality headset, the Oculus Rift S. It will be launching in the spring of 2019 for $399. This updated version of their rift headset includes a higher resolution display, improved optics, and a new feature they are calling Passthrough+ (utilizing a pair of cameras giving the user the ability to see their surroundings without taking the headset off). Oculus partnered with Lenovo to design the headset to be more comfortable and have better integrated audio. Consumers who purchase the headset also get access to the Rift platform which gives them instant access to the best VR games currently available. Older rift owners will also be able to take advantage of this Rift platform with continued software updates. I think that this is great! Improvement to VR tech while simultaneously making it more accessible to more people because of its cheaper price. I think there is a stigma that VR is specifically for gamers (which it is currently primarily used for), however, there are many other practical use cases for this technology that makes this announcement even more exciting. Virtual reality can be used in many different fields, such as science and education, healthcare, virtual tourism, and much more. Some great examples are using VR for exposure therapy (help people with phobias like fear of flying), 3D reconstruction, and visiting new places and experiencing new cultures. For these reasons and much more, I am excited to see the future of this tech and welcome any price drops.